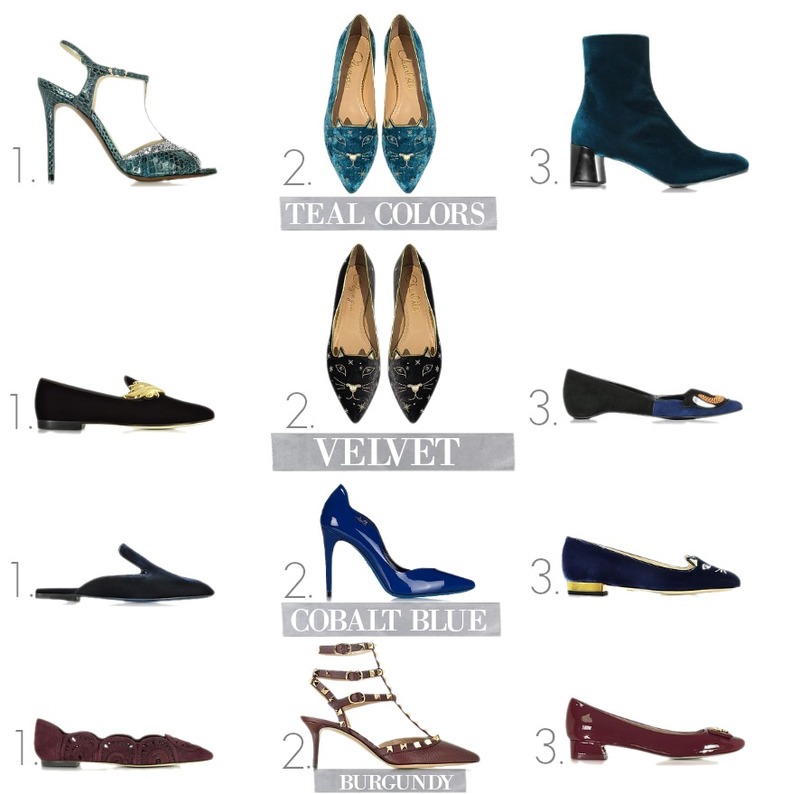 Shoes, Shoes, and more shoes because it's September and we all are looking to replace the summery colors and styles with something more autumnal. Today I'm sharing my ultimate wish list from Forzieri and believe me, there are many styles that are hard to resist. As you can see I'm into Velvet fabrics and Burgundy, Teal, and Cobalt Blue colors. Every year I come back to these colors starting with September and in my opinion, they represent this season the best. Designers like Jil Sander, Charlotte Olympia, and Giuseppe Zanotti offer you just that but don't stop browsing here, a variety of styles are on sale Here as well. My goodness, they are all gorgeous with a capital G! Regards, Deb.